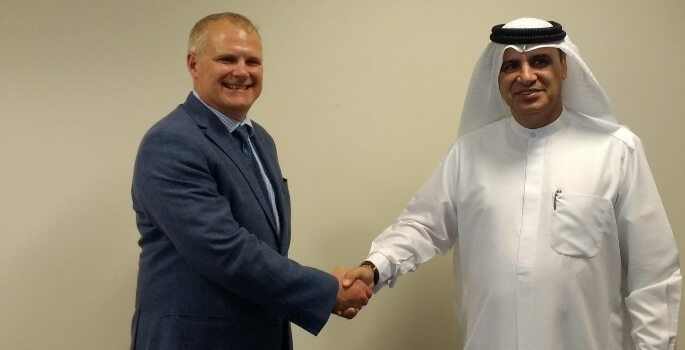 Emirates Aviation University (EAU) and Coventry University have teamed up to establish a new research centre and doctoral training college in Dubai. The Research Centre for Digital Innovation and Artificial Intelligence will train its research students to specialise in a range of disciplines, including aviation, management, security and smart cities. Building on an existing partnership between Coventry and EAU – through which the two institutions have run joint postgraduate programmes in the aerospace field for more than a decade – the new venture will see PhD students awarded their degree from both universities. Research students will be based in Dubai, but also spend time in Coventry and receive support from Coventry University academics. The research areas will be closely aligned with those focused on by Coventry University’s Research Institute for Future Transport and Cities: reflecting the emergence of Dubai as a centre for aviation; new approaches to urban development; and, increasingly, new digital advances. Dr Ahmad Al Ali, Vice-Chancellor of Emirates Aviation University, said: “Our partnership with Coventry has always added value to our students and proved to be successful. The opening of the new research centre and doctoral training college is a testament to our growing commitment to always provide them with the best tools to develop their skills and capabilities”.